Nurses have high rates of burnout and turnover, but did you know that recruiting, hiring, and training a new nurse costs as much as 200% of the nurse’s annual salary? As hospitals face increasing financial pressures in the value-based era, it becomes more and more important to decrease unnecessary costs. 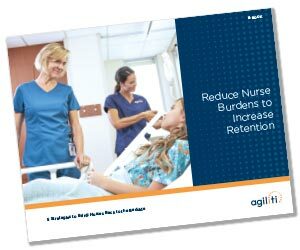 Not surprisingly, nurse turnover can have a big impact on both your bottom line and culture.